Photos, clockwise from top left: Reed Saxon/AP; Donald Miralle/Getty Images for NASCAR; Courtesy of Diocese of Orange; Leo Duran/KPCC; Robyn Beck/AFP/Getty Images. 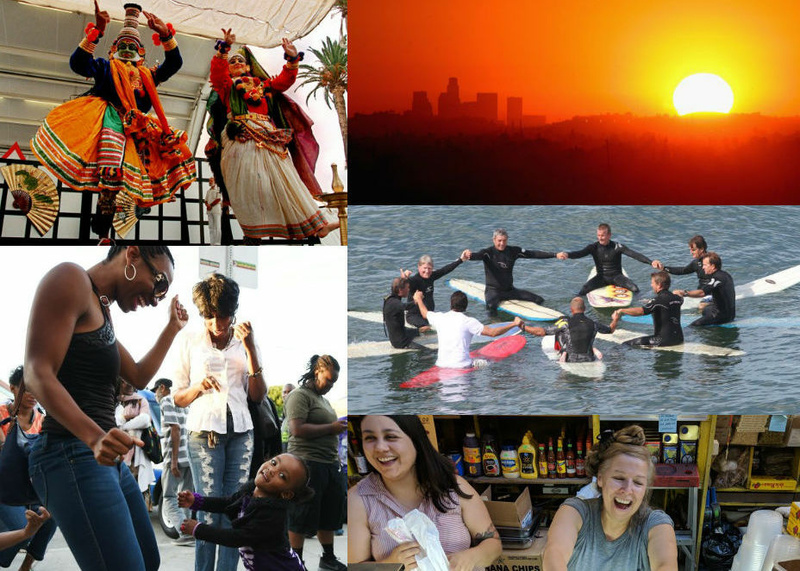 L.A. County is made up of 88 cities, and we’re trying to showcase what makes each one unique. We want you to be our guide! Tell us why "Take Two" should visit your home, and why you’re the best person to show us around. "I would take you Magnolia Park in my city of Burbank," says host A Martinez. "Imagine all of the cool vintage shops on Melrose mixed with these amazing costumes and props from Hollywood….BUT with plenty of free street parking!" What would you tell us during a tour of your city? Where is the area where visitors can see the real heart of your town? Is there a landmark or main street that shows off what makes the city tick? What's a special event where we can see how you and your neighbors come together to form a community? What is a unique piece of history that happened where you live?